Once the Armed Forces have opened their intakes for women, it is highly desired that apparel for them would be according to their body types. It is the first step taken by US Army to provide the women a space in Armed Forces. The basic purpose of these uniforms is to make the women staff comfortable and enable them to perform their duties more effectively. If you closely review the uniform especially tailored for women you will find that it has narrower shoulders, slightly tapered waist, and a more spacious seat. This has been done with the basic motive to present the women soldiers in a better military appearance. This new pattern of uniform would be available in 16 sizes for fitting almost all defence establishments and soldiers of all types of physique. It was felt that old pattern of uniform fitted very badly in women at the bust, shoulders, hips, and crotch. It resulted in demand for the uniform of bigger sizes by the women soldiers that were not a suitable fit to their bodies and looked as if borrowed from borrowed from someone like an older brother. Whereas old pattern uniform was available in 36 sizes, then also not suitable for the female body, the newly designed uniform has a wider fit at the waist, hips, and backside, with an elastic waistband. Adjustments have also done in the pockets. Further, knee-pads inserts and elbow pads have been introduced to the pants and shirts respectively to provide additional protection and comfort. So, together with developing the defence forces as “gender-neutral” standards and to ensure equal access to all jobs, the women clothes have been developed for flight suits, body armour, and physical training uniforms. The newly designed for women soldiers consists of T-shirts, shirts, jackets, shorts, tracksuits, suit combinations (overalls), track suits, trousers, inner wears, etc. These are all meant to provide the service women a presentable and better clothing whether she is on duty or off-duty, in the play ground or dining mess, performing PT parade or relaxing at home. It is the matter of fact that in the similar lines of servicewomen, the civilian women are also tempted to wear similar clothes. 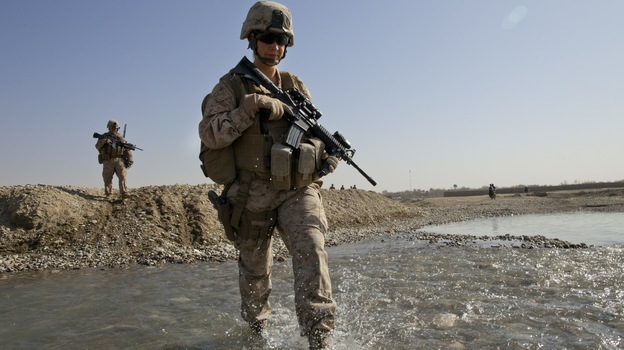 Keeping that view in mind, the service uniform has been the choice of many fashion designers and they have come with most attractive and stylish combat uniforms, camouflage uniform and other various categories of uniforms that are available in various colors and designs. You may buy and wear that sorts of clothes as it gives you the feeling of being brave, strong and agile. When you wear that sort of uniform, you feel more courageous, strong and ready to take up your assignments with greater ease. As it is possible, you will be less fearful in tackling new challenges and your morale will always high. Keeping all these considerations in mind various reputed brands have also launched their clothes in similar lines.